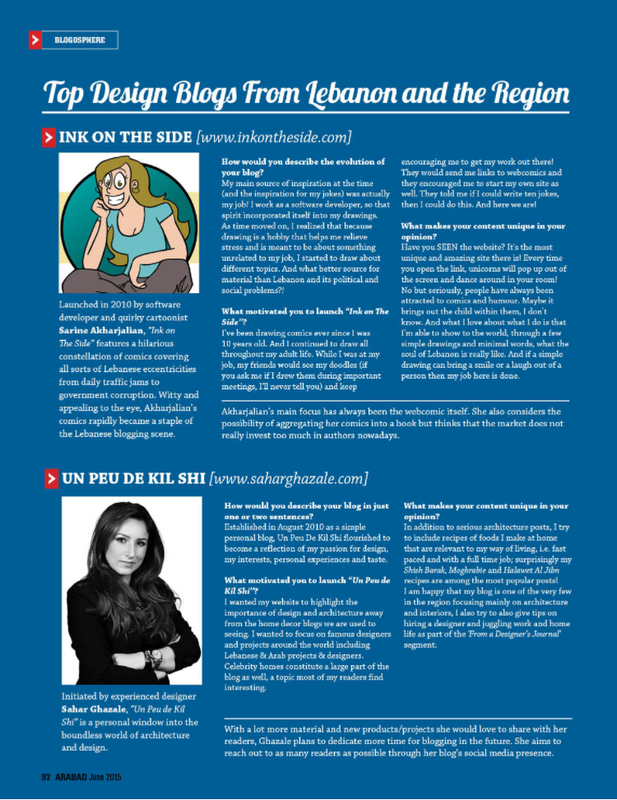 ArabAd featured in their June 2015 issue the top design blogs in Lebanon and the region. I am proud Un Peu De Kil Shi is among them. 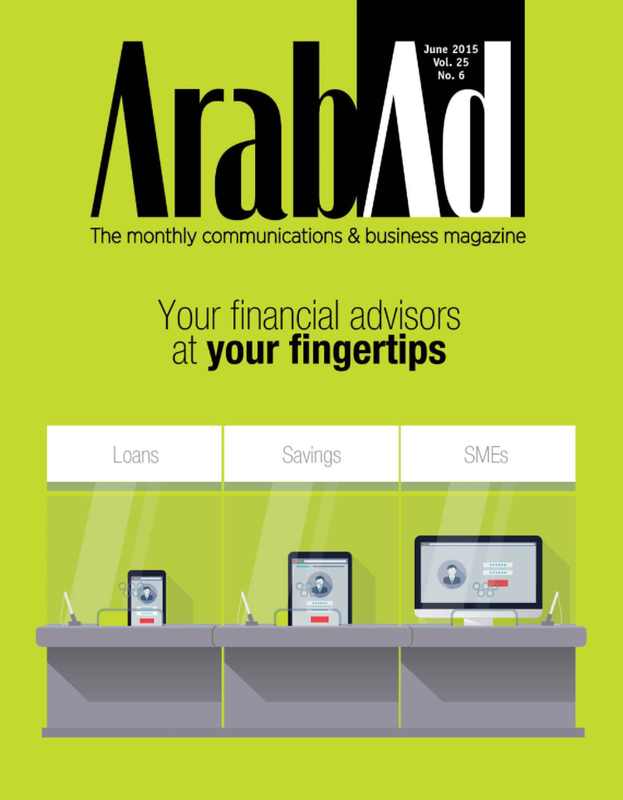 To view the magazine you can check out their digital magazine, or get a copy from bookstores. Love Sareen’s blog inkontheside.com, very witty & creative, I really look forward to her weekly posts. Happy 1st Blogoversary Un Peu De Kil Shi!